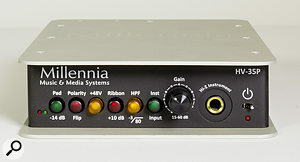 The Millennia HV-32P dual-channel preamp. 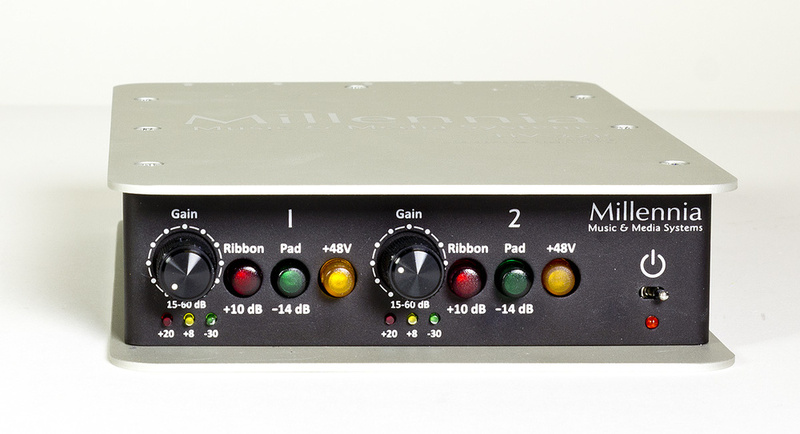 One of the world’s most highly regarded mic-preamp designs is now available to go. 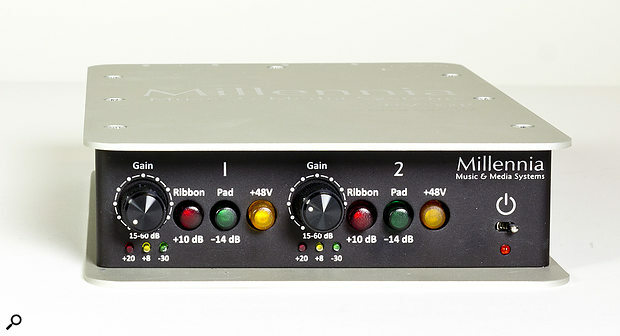 The Millennia HV-3 preamp is rightly regarded as one of the best ultra-clean preamps currently on the market. Its design dates back to around the mid-‘90s, when Millennia founder and electronics designer John La Grou was working as a recording engineer with the Sacramento Symphony orchestra in California. There are reported to be over 35,000 channels of HV-3 preamp in use around the world today, in nine different physical formats. The original HV-3D is a 2U rackmount preamp available in both four- and eight-channel versions, and there’s also a remote-controlled eight-channel model, the HV-3R. A pair of two-channel 1U rackmount variants is also available, in the form of the HV-3C and the HV-37. I reviewed the latter in SOS October 2013 (http://sosm.ag/millennia-hv37). In both designs, the controls are protected from accidental damage by the metal top and bottom plates. 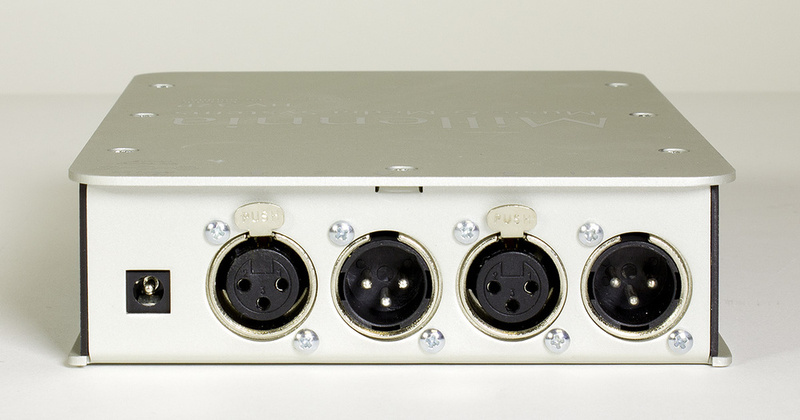 Of more pertinence to this review, though, are the two modular plug-in versions, the HV-32 and HV-35, designed for use in API 200-series and 500-series racks, respectively. Compared with the HV-3D these have slightly reduced headroom (due to the format’s reduced power-supply rail voltages) but in other respects perform equally well. The two new models joining the HV-3 family are straight derivations of the HV-32 and HV-35, basically comprising repackaged circuit cards in a compact and portable desktop format, and called the HV-32P and HV-35P. The ‘P’ suffix denotes the ‘portable’ nature of these designs. The HV-32P contains two simple HV-32 mic preamp stages, while the HV-35P contains a single HV-35 preamp with front-panel instrument input. Both units are housed in the same neat aluminium case, which measures 144 x 43 x 208 mm (WHD) and weighs 740g. These dimensions equate to one-third rack width and 1U high, so three units can be mounted alongside each other on a rack shelf if required. The top and bottom plates overhang the operational controls at the front, and the connector latches at the back, providing some very useful transit protection. Internally, the two models are built around the corresponding rack module card (or cards, in the case of the HV-32P), along with a bespoke DC-DC power-supply board along one edge, which feeds ±16V power rails. Each of these models ships with a small external ‘line-lump’ universal power brick, delivering 12V DC at 5 amps through a coaxial plug. (A physical plug or cord retainer would have been an improvement). These preamps will accept any DC supply between 10 and 15 V, so can be battery powered quite happily. For example, a 10-cell 2000mAh NiMH battery pack should manage around three hours of operation. The coaxial power socket is located on the rear panel, along with the appropriate number of XLRs for the inputs and outputs, and a miniature toggle switch on the front panel powers the unit. 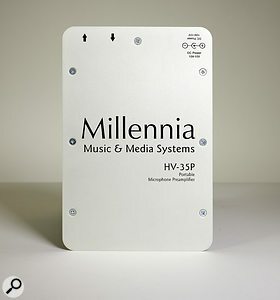 The Millennia HV-35P preamp and DI. 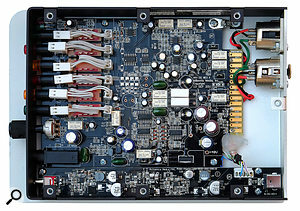 Each of the MV-32P’s two simple preamp channels is equipped with a rotary gain control, spanning a nominal 15 to 60 dB range, and a traffic-light trio of LEDs below the knob indicates the output signal level (green above -30dBu, yellow at +8dBu and red at +18dBu). Three illuminated push-buttons select a 14dB output pad, engage phantom power, and activate the ‘ribbon mode’. The last of these boosts the gain by 10dB, disables phantom power, and provides a DC-coupled input connection — all to provide the ideal input configuration for dynamic microphones in general, and ribbon mics in particular. The internal arrangement of the HV-32P, showing the two closely mounted HV-32 circuit boards, plus the power-supply board along the bottom edge. 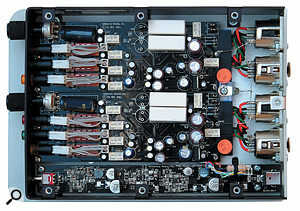 As above, but with a single HV-35 500-series board and PSU card.The MV-35P offers a single preamp channel, but with considerably more facilities than the ones in its sibling. Again, a rotary control provides a nominal 15 to 60 dB gain range, and this time only a pair of LEDs is provided to indicate output signal level (green above -42dBu and red at +22dBu). The same 14dB output pad, +48V phantom power, and ‘ribbon mode’ functions are provided on illuminated push-buttons, along with three more that invert the signal polarity, engage a high-pass filter (turning over at 80Hz with a 6dB/octave slope), and select the front-panel instrument input in place of the microphone input. This plot shows the overall frequency response of the HV-32P with a -60dBu input signal, and the gain control adjusted to each mark on the control scale to indicate the linearity of gain-versus-rotation. As above, but with the ribbon mode engaged. Starting with the HV-32P, I noticed that the gain knobs hadn’t been aligned accurately with the scale and they tended to rub a little on the panel as they were rotated. Minimum gain was +14.8dB and the maximum measured +61.2dB. 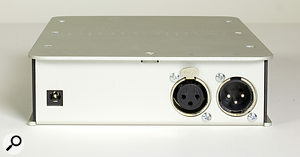 The pad provided the marked 14dB of attenuation, and the two channels matched within 0.1dB at the gain control extremes and when the pad was engaged. Interestingly, the ‘ribbon mode’ button doesn’t affect the minimum gain value, but does boost the maximum gain to +71dB. The more expensive HV-3C and D models use a rotary gain switch but, to save costs, the modular versions use an ordinary potentiometer. As a result, the gain-versus-rotation plot doesn’t show the most linear relationship. 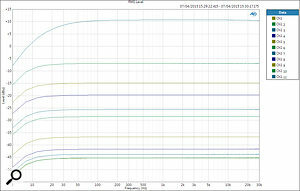 Very little happens over the bottom few panel markings, followed by a noticeable jump in gain around the middle. At the top end of the control range the gain builds very rapidly over the last few panel markings, especially when the ribbon mode is engaged. This plot shows the overall frequency response of the HV-35P with a -60dBu input signal, and the gain control adjusted to each mark on the control scale to indicate the linearity of gain-versus-rotation.I measured the equivalent input noise (EIN) of the HV-32P and found it to be around -130dBu (20kHz bandwidth, 150Ω source), which agrees with the published specifications, and also measured a THD+N figure of 0.0007 percent, which is fractionally better than the quoted specs. The maximum output level is +28dBu and the maximum input level is +14dBu. Engaging the pad reduces the output level but doesn’t cure the input-stage overload, suggesting that the input stage clips before the output stage. As above, but with the ribbon mode engaged.The HV-35P measured very similarly to the HV-32P in terms of its EIN, THD and frequency-response specifications. 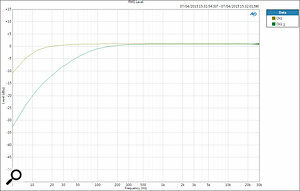 The gain ranged from +14.6 to +60.9 dB, rising to +70.5dB with ‘ribbon mode’ engaged, and the same gain-versus-rotation non-linearity was evident. The high-pass filter moves the -6dB point up from about 8 to 45 Hz. The maximum input level is +12dBu without the pad and +18dBu with it, which is different from the HV-32P’s performance and suggests that the output stage is clipping before the input stage. The maximum output level is +28dBu. 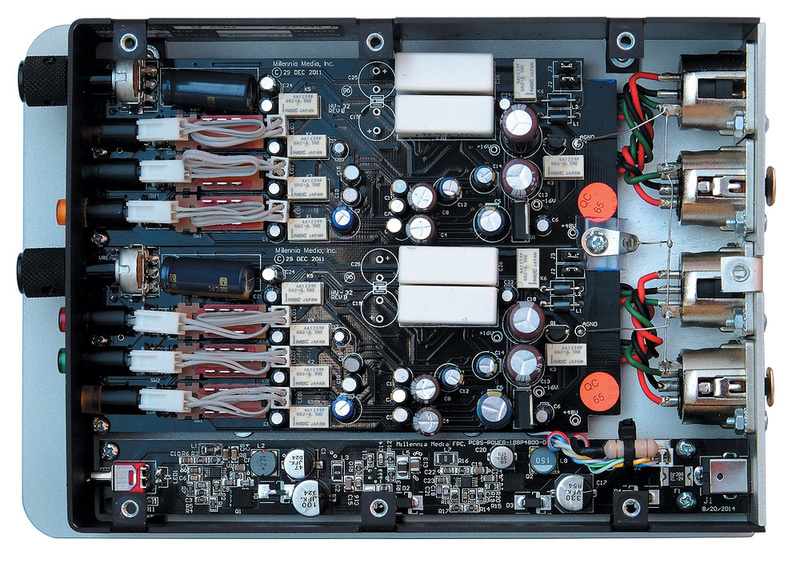 When switched to instrument input, the full 14 to 61 dB gain range remains available (but the +10dB ribbon boost is no longer available), and the pad, HPF and polarity facilities are all available. The maximum instrument input level is +8dBu, although a musically benign second-harmonic distortion builds strongly above about -12dBu. 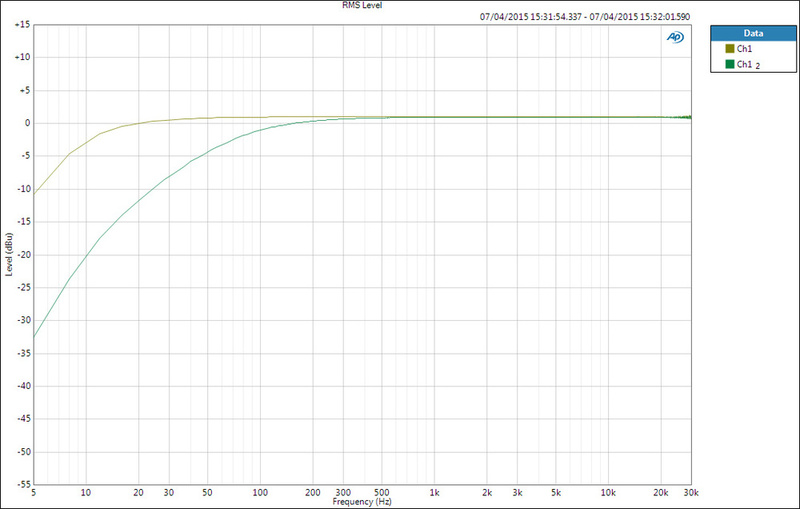 The pad doesn’t help to reduce the input distortion at the clipping point, but it does reduce the output level. Illustrating the HV-35P’s high-pass filter response.Sound-wise, the HV-32P and HV-35P are lovely preamps, with a very clean, quiet, neutral sound that’s about as close to the wire-with-gain ideal as is possible. The HV-35P is essentially one half of the HV-37 I reviewed in 2013, and retains the same fast, detailed and silky-smooth sound character for which the HV-3 family are so well known. The HV-32P shares the same sound character, and although it has fewer facilities, you do get two of them in a very convenient package! The HV-32P and HV-35P are cleverly re-packaged versions of the HV-32 and HV-35 rack modules, and offer a nice level of flexibility and convenience at an attractive price. Although the slight gain-bunching effect is inevitable, and I’ve listed the lack of a power-cord clamp as a very minor ‘con’, neither detract from the superb performance, and to get better you need really to invest in an HV-3C or HV-3D! There are few portable or desktop preamp units that are directly comparable, but the DAV Electronics BG1 dual mic pre and BG9 single mic pre with DI are obvious lower-cost contenders. 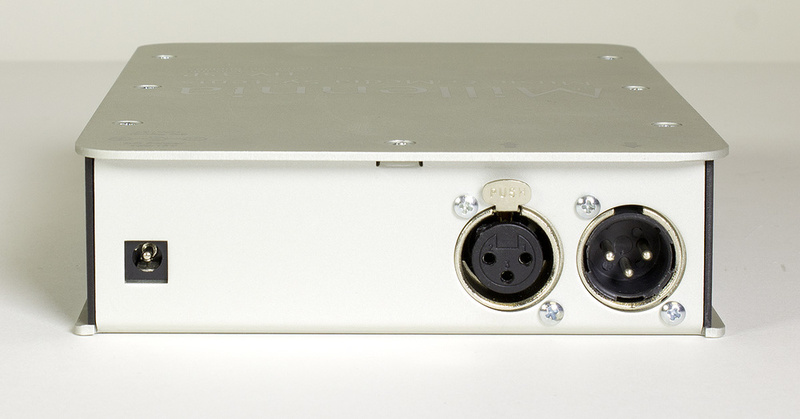 Deliver the same fast, detailed, transparent sound character as other HV-3 preamps. 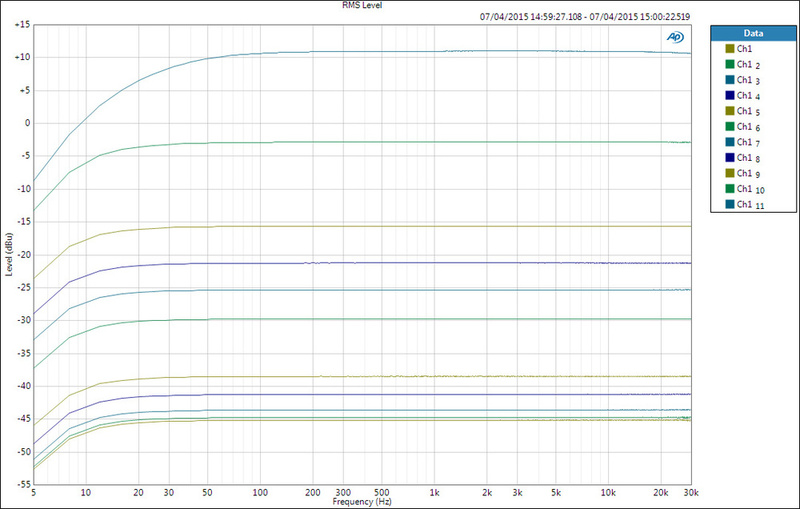 Wide gain range, with additional gain boost for ribbon mics. Ribbon-mic mode (both models), and instrument input on the HV-35P. Capable of being battery powered. Neat packaging, with control protection. Slightly lower headroom and maximum output levels than the high-end HV-3C and D models. Gain-control linearity shows some gain bunching. Controls difficult to see unless at eye level. 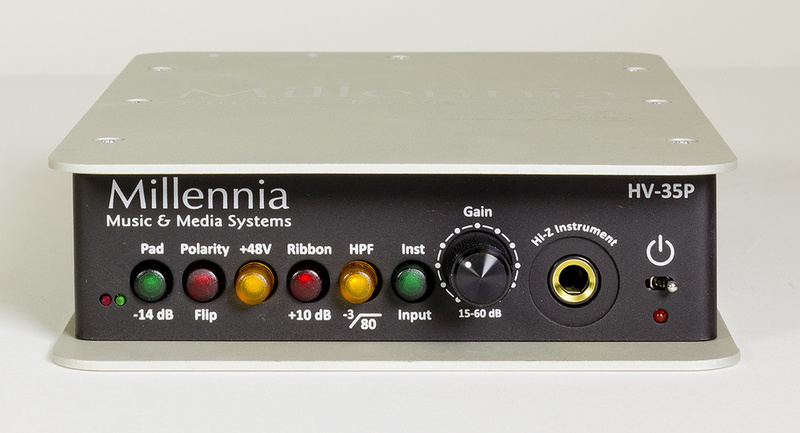 Cleverly re-engineered versions of Millennia’s HV-32 and HV-35 rack modules, providing dual no-frills mic preamps or a single full-spec mic-pre with instrument input, respectively. HV-32P £950, HV-35P £640. Prices include VAT. Millennia Music & Media Systems +1 866 642 7732.